Small Drywall Repair Cary NC Smallest Patch Jobs Welcome. Live in Cary NC and need a small drywall repair on your wall, ceiling or texture call today. Professional contractor providing local taping, finishing & popcorn texture removal. Small Drywall Repairs Cary NC - Smallest Patch Jobs Welcome. 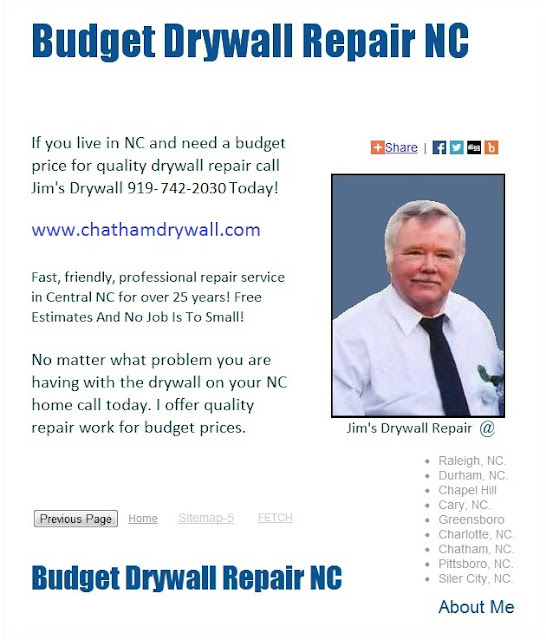 Live in Cary NC and need a small drywall repair on your wall, ceiling or texture call today. Professional contractor providing local taping, finishing & popcorn texture removal.